Award recognizes lifetime accomplishment with $100,000 prize. CHICAGO – The Poetry Foundation is honored to announce that Alice Notley has been awarded the 2015 Ruth Lilly Poetry Prize, which recognizes the outstanding lifetime achievement of a living U.S. poet. Presented annually to a living U.S. poet whose lifetime accomplishments warrant extraordinary recognition, the Ruth Lilly Poetry Prize is one of the most prestigious awards given to American poets. At $100,000, it is also one of the nation’s largest literary prizes. 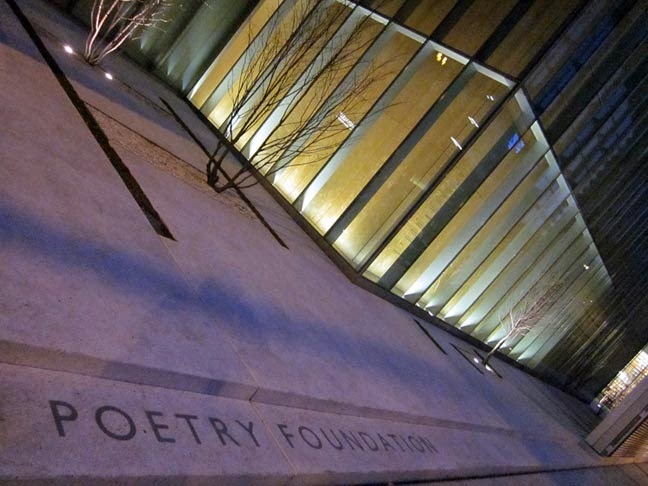 Established in 1986, the prize is sponsored and administered by the Poetry Foundation, publisher of Poetry magazine. It will be presented, along with the Pegasus Award for Poetry Criticism, at a ceremony at the Poetry Foundation on Monday, June 8. The winner of the award for poetry criticism will be announced later this month. Born in Arizona and raised in Needles, California, Alice Notley earned her BA from Barnard College and her MFA from the Iowa Writers’ Workshop. Active in the New York poetry scene of the 1960s and 70s, Notley is often identified with the so-called Second Generation New York School poets, though her work resists any period classification. She is the author of over 25 books of poetry, including How Spring Comes (1981), which received the San Francisco Poetry Award; Mysteries of Small Houses (1998), which won the Los Angeles Times Book Prize; Disobedience (2001), which was awarded the Griffin International Poetry Prize; and Grave of Light: New and Selected Poems 1970-2005 (2006), which received the Lenore Marshall Poetry Prize. She edited and wrote the introduction for the reissue of her late husband Ted Berrigan’s The Sonnets (2000), and edited, with her sons, the poets Edmund and Anselm Berrigan, The Collected Poems of Ted Berrigan (2005). Her honors and awards include an Arts and Letters Award from the American Academy of Arts and Letters and the Shelley Memorial Award from the Poetry Society of America. She has also been a finalist for the Pulitzer Prize. She has lived in Paris since 1992. In recognition of Notley’s achievements, the Foundation’s website, poetryfoundation.org, is featuring her in a podcast, an interview and audio recordings of her poems. The site also contains a further selection of her poems and an essay, The Poetics of Disobedience (1998).